Portland’s homeless seek winter shelter. 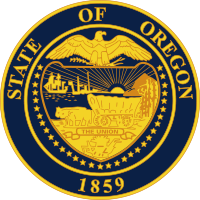 Oregon DOT Director commits to rejecting some of the more regressive portions of Fed MAP-21. 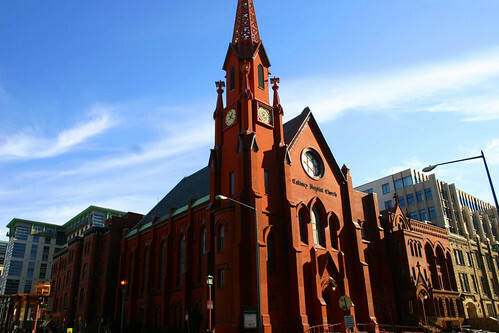 Ah, the missing link, reasons for religion to embrace urbanism. In a new book, A Christian theologist argues that shalom — an expression of wholeness of a people — is best fulfilled in a built environment that promotes community. 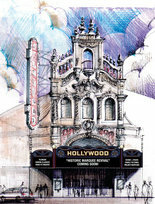 Oregonian says Portland’s Hollywood Theatre raises half the funds for new marquee, starts kickstarter campaign for remainder. More from the Portland Ecodistrict Summit on the Portland Architecture blog. At Portland Portland Sustainability Institute’s Ecodistricts Summit, Mathangi Murthy speaks with Naomi Cole, Program Director of PoSI. I recently spoke to Naomi Cole, the EcoDistricts Program Director of PoSI about the Summit, the EcoDistricts movement and what it has to offer this year. Portland Afoot looks at two local political races from a smart growth perspective. Aaron Brown joined us to hash out the things low-car Portland commuters ought to know about the two biggest local races on Portlanders’ ballots. 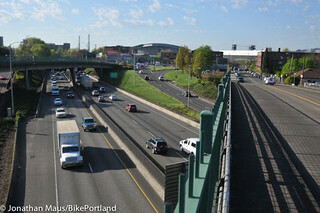 BikePortland reports on the I-5 widening vote. . .